Life Between Pages: It's official! Peter Jackson confirms The Hobbit films will be a trilogy! It's official! Peter Jackson confirms The Hobbit films will be a trilogy! Though the on-screen adaptation of J.R.R. Tolkien's masterpiece The Hobbit was originally shot as two films, director Peter Jackson confirmed today that he will turn the double epic into a trilogy. You can read the entire message on his Facebook page. Jackson is on record saying that although every major scene from the book has already been shot (shooting wrapped a couple of months ago), he's been interested in adding scenes that would depict additional notes on Middle Earth, written by Tolkien, at the end of the third Lord of the Rings volume, The Return of the King. So, at least some of the actors will have to come back and shoot extra scenes to cater the third instalment. As for where that material might come from, Jackson and his co-writers, Fran Walsh and Philippa Boyens, are already drawing on sources beyond The Hobbit book itself — in particular, some 125 pages of additional notes Tolkien wrote at the end of Return of the King that expanded the world of The Hobbit, which Jackson has the rights to use. As Tolkien purists know, they’ve also taken a few extra liberties, inventing a couple of totally new characters, like Evangeline Lilly’s Elf warrior Tauriel. But Jackson has not yet revealed — and is perhaps still trying to work out — exactly what shape the story would take if, in fact, The Hobbit became a trilogy. What do you think? Are you excited about this news, or are you concerned that the films are going to take a few more liberties than are necessary? It does make a person wonder how much footage they actually shot. The Lord of the Rings trilogy was obviously three films because of the three volumes Tolkien wrote, but The Hobbit is just one book (and is much shorter than any of the three LOTR volumes at that). 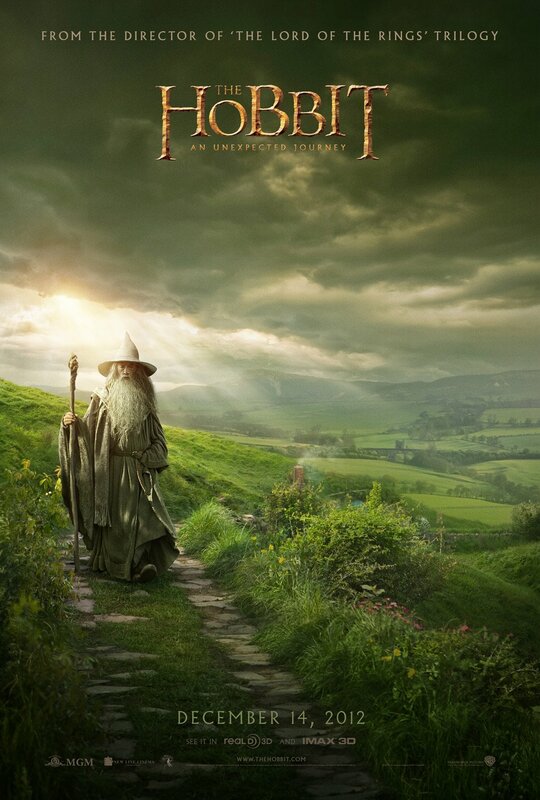 Perhaps, this way, The Hobbit films will be more true to the detail of the book? Well, we can only wait and see. The first instalment of The Hobbit, An Unexpected Journey, is scheduled to be released worldwide on December 14th, followed by the second, There and Back Again, next Christmas. The third release is being aimed for the summer of 2014.